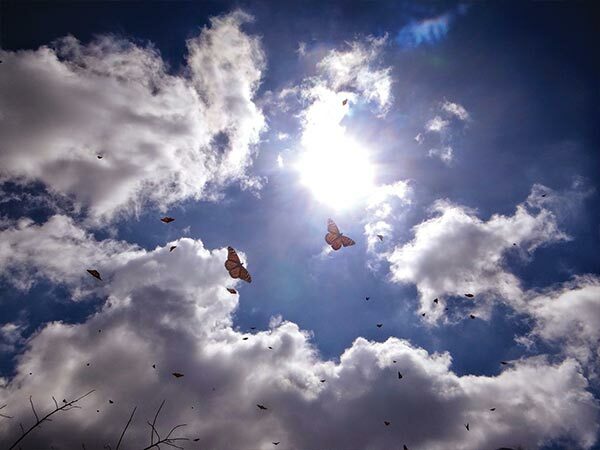 Being in Mexico surrounded by millions of migrated monarchs in flight is a breathtaking experience. The feeling is indescribable. The best word to describe the sensation is magical. 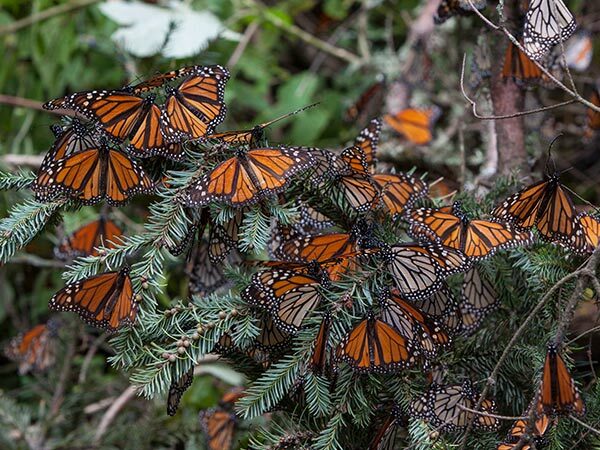 Large clusters of monarchs huddle together in roosts made up of thousands. Roosts hang from branches and entirely cover tree trunks. When sunlight warms the roost they take off in a sudden “burst” that can best be described as someone shaking a snow globe filled with orange wings. Below: This photo was taken after a burst had settled down and a few remaining monarchs floated across the sky. This trip was an incredible once in a lifetime experience and I would do it again in a heartbeat. The mental picture of all those monarchs will never leave my mind.